Australian actors last appeared on screen together nearly 30 years ago in TV soap Neighbours. Guy Pearce and Kylie Minogue have signed on to join Radha Mitchell in Flammable Children, the new comedy feature written and directed Stephan Elliott (The Adventures of Priscilla, Queen of the Desert). It marks the first time the two have appeared on screen together in nearly 30 years, having starred as Mike and Charlene in TV soap Neighbours in the 1980s. As well as a successful pop career, Minogue has appeared in films including Moulin Rouge! and Holy Motors while Pearce is perhaps best known for roles in Memento, LA Confidential and Iron Man 3. Flammable Children will shoot in Australia this autumn. Three other leading roles are yet to be cast. Taking place in 1975, the film is set in a sleepy beachside suburb where “an extraordinary event” sets in motion a revelatory week for a teenage boy and girl. The feature will also reunite some of the cast and crew from Priscilla, including producer Al Clark (Chopper), Oscar and BAFTA-winning production designer Colin Gibson (Mad Max: Fury Road), costume designer Lizzy Gardiner, who won both an Oscar and a BAFTA for Priscilla, composer Guy Gross and film editor Sue Blainey (Lost, Mozart in the Jungle). 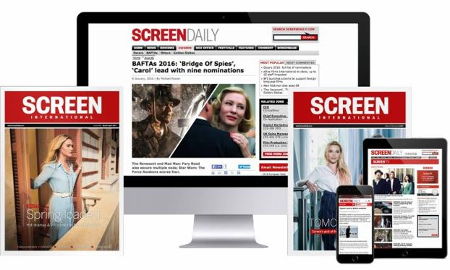 Screen Australia, Screen NSW, Screen Queensland, Becker Film Group and Cutting Edge will finance the film. International sales are handled by West End Films.